We love the Tualatin area. Our Tualatin housecleaning service is really proud to be the only professional house cleaning service that hundreds of Portland Area homeowners trust to clean their homes the right way. You'll find our satisfied customers all over the West Portland area including: Beaverton, Lake Oswego, Oregon City, West Linn, Hillsboro, West Portland, Beavercreek, Canby, Wilsonville, Sherwood, Newberg, Tigard, Garden Home, Aloha, Forest Heights, Durham and King City. • Our Tualatin maid service employs the best, most reliable housecleaning specialists in the Portland metro area. Hundreds of customers in Tualatin, Portland, Beaverton, and the Willamette Valley, Oregon trust our house cleaning specialists because we train, screen, uniform, and supervise them at all times. Our standards are so strict that if we trust our housecleaning professionals, then you can, too. • We always value your time. We know you don’t have the patience or time for maids who are late or who don’t show up at all. Our Tualatin house cleaners understand that your time is valuable so they pride themselves on cleaning your home as promised and when promised. • Green Cleaning you can trust. 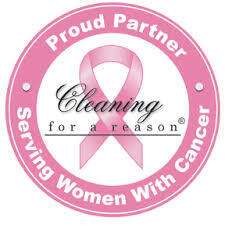 Maid Brigade’s Tualatin house cleaning service is a Green Clean Certified® maid service. This means that our housecleaning maids use green solutions and processes to give your home a tremendous shine without harming your health with dangerous chemicals. If you would like to find out more, click on the Green Clean Certified logo on this page. • Bonus and Reward Program. Our Portland maid service has a new bonus for our house cleaning customers: the Preferred Client Program. We give you a one-year price protection and Priority scheduling, and discounts on your first and anniversary cleanings. To learn more about our Preferred Client Program, just click the Local Specials button at the right. • We always listen to you. To make sure we’re giving you the best house cleaning, whether it’s your first cleaning or your 41st, our housecleaning maids leave a rating card during every house cleaning visit. Though most of these come back with perfect reviews, we ask you to jot down any comments or questions that we can use to serve you even better. One thing I really appreciate about Maid Brigade is that they use Green Cleaning materials. That gives us the satisfaction in knowing that our home is becoming less toxic with each cleaning. I could not believe how many harsh chemicals we were using prior to using Maid Brigade since our previous maid service required us to supply the cleaning materials. We have recommended Maid Brigade to our friends and relatives. Maid Brigade of Tualatin was is proud that we received the 2007 Maid Brigade Franchise of the Year Award, an award that recognizes high standards in consistent and thorough housecleaning service.